Designing and manufacturing home audio electronics and ‘head-fi’ equipment (that is, gear for those interested in high quality mobile and headphone-oriented hi-fi), Red Wine audio began life producing an audiophile upgrade for Apple’s iPod, know as the iMod. At that time, the iPod was seen as the best mobile digital player on the market. 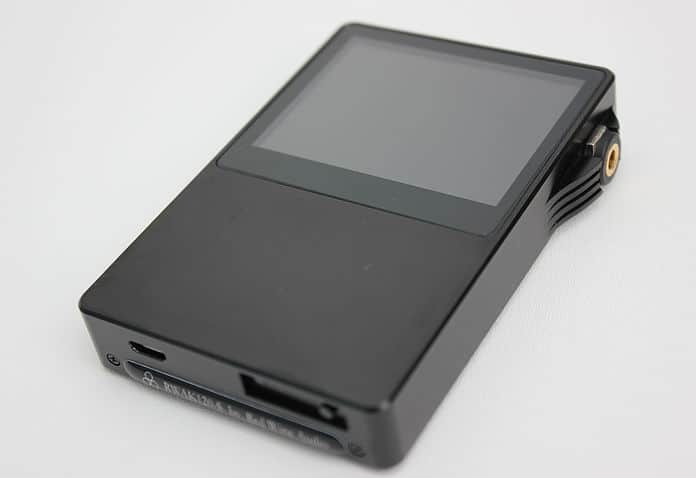 Now, that crown has been passed to iRiver imprint, Astell & Kern, with its AK100, AK120 and AK240 players with more new hardware flavours promised via the recent announcements at the High End show, which took place between 16-19 May, this year in Munich, Germany. It was the admiration of the design that prompted the birth of several modding ideas. After the initial impedance mod on the smaller and cheaper AK100, Rossi took a look at the more capable and expensive AK120. This one comment gives you an indication of the quality of the AK120 modification. Cardas produce top-notch cable, much admired by audiophiles the world over. Rossi utilised a spool of fine cable that is not generally available. 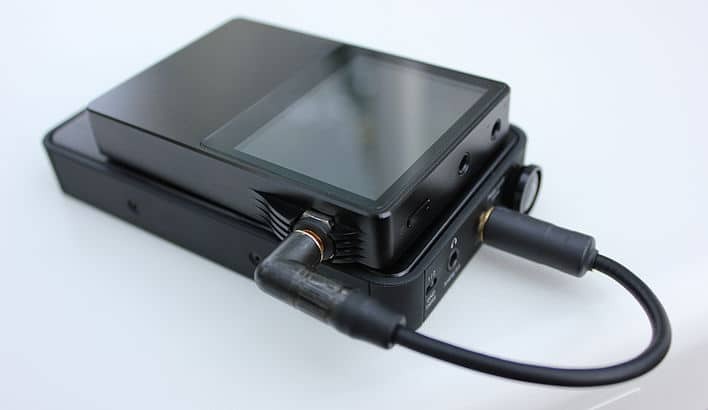 It’s enamelled without additional insulation so it is of fine gauge and, very important, flexible, “I wanted to bypass the minute circuit traces and connectors that were in the AK120 device. Doing this dropped the output impedance below a single Ohm. The Cardas helped to provide a cleaner signal right to he pins and output jacks, enhancing transparency. One of the basic modification decisions, while planning the future modification, was to switch the AK120 from its default Software Mode to a new and rather more interesting Hardware Mode. When you buy an AK120, Software Mode dictates that you utilise the player’s digital volume control. There is an attenuator in the featured Wolfson 8740 DAC chips so that, when you turn the wheel, fixed to the top right of the chassis, the volume increases and decreases. When you are hardware mode, the volume is effectively ignored because it is set at maximum and left there. 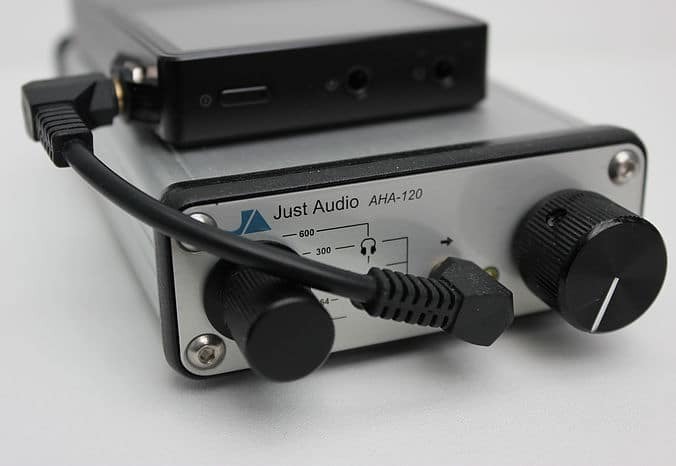 This means that you have to plug your own, separate, portable, headphone amplifier into the AK120 and then plug your headphones into that headphone amplifier, to achieve superior Sonics. This is why the ‘volume’ wheel was replaced with a Line Out socket. The stock DAC has its own footprint. 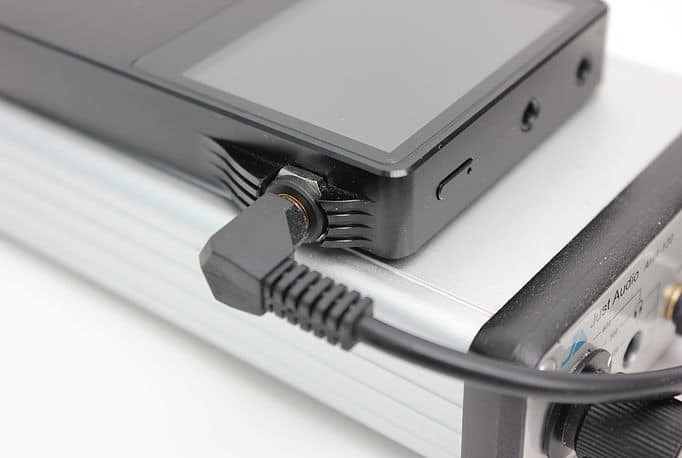 There are 28 pins per DAC chip – and there are two DACs in the AK120 – all of those pins have a designation because they are designed to work with the 8740, “The 8741 is similar. Most of the pins are the same but there are a few differences, which means that the 8741, still the flagship Wolfson DAC, is not a drop-in replacement. One of the special aspects of the DAC is its minimal phase digital filter. Something that the 8740 does not have built into it. This filter removes ‘pre-ringing’. After the impulse, then you get a ring, which is more natural so you don’t add anything that is added before time that can result in an edgy sound output. The result is a smoother, more natural sound,” said Rossi. 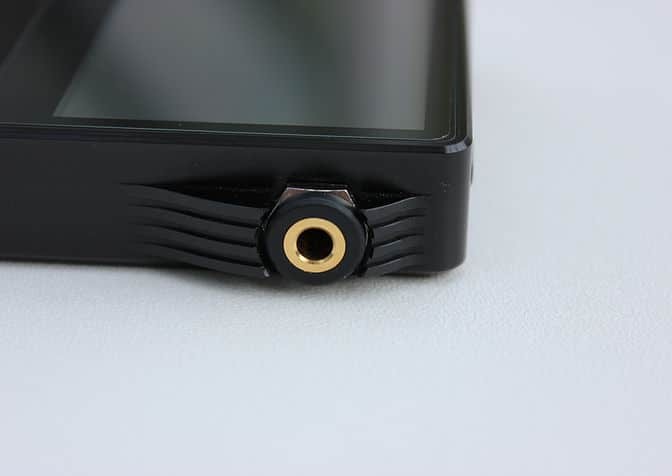 So why haven’t Astell & Kern plumped for the 8741 from the off? Well, there is that cost but the principal reason is the 8741 power demands. It uses more power than the 8740 that means that the AK120 enjoys around 20% less battery life in between charges. This does depend on the type of files utilised, however. Basically, push a lower bit rate digital file through a DAC and you use less power. Hence, 24bit/192kHz processing uses more battery than playing a standard Redbook CD file of 16bit/44.1Mhz, for example. One of the more mysterious aspects of the upgrade is DSD support. The stock AK120 does support DSD but not natively. The data is sent through a PCM conversion process first. The 8741 does, however, support native DSD play, something that first officially appeared with the launch of the rather expensive AK240. Native mode means that the data doesn’t have to be sent via PCM first. That, unfortunately, doesn’t mean that the Red Wine upgrade allows native DSD play. The AK120’s built-in software has not been upgraded ad does not allow native DSD playback. The native option has to be triggered in software first to make sure that you are processing it properly. Hence, even though the 8741 chip supports native DSD play, the software does not so you cannot use native DSD mode on the modded AK120. As A&K are not likely to provide a software tweak to allow native DSD on Red Wine’s mod improvement and because the AK120 software is not open source and available to modification, any Native DSD upgrade will depend on a friendly hacker to provide a software hack. So what does the new Red Wine Audio RWAK120/S sound like? 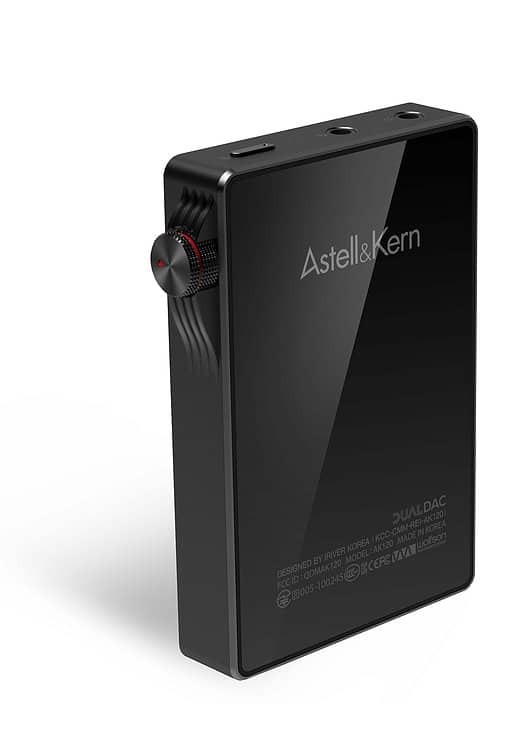 Is it worth spending $595 on a basic Astell & Kern AK-120? A mobile player that is not exactly heap in the first place. I subjected the modified RWAK120/S to a range of sonic tests using an array of third party equipment and compared it to a stock AK-120 in each case. Listening to CD quality, 16bit/44.1kHz, music was very interesting on the Red Wine RWAK120-S but more for what it didn’t provide to the ear. I was expecting major fireworks and ear-popping transitions when I first played the newly modded device. Certainly, with the test WAV files, I never experienced that. The actual improvements eased into my consciousness. Beginning with vocal jazz on the Red Wine machine and a WAV version of Carol Kidd’s How Deep Is The Ocean via Dreamsville [Linn], Kidd’s vocal delivered a precise and concise lyric that scored over the original AK120 by losing elements of blur and bloom around the upper mids. On the Red Wine device, Kidd enunciated instead of merely projecting. Her words were savoured during this slow tempo standard giving, on the modded machine, a more thoughtful projection of the emotions behind them. The enhanced clarity of the Red Wine device also told in the interpretation on the song from Kidd. You could almost hear her facial expressions as she placed emphasis upon individual sections of the song. Notice, that there are quite a lot of improvements listed here, and that’s just for the vocal section. Yet, none of them were immediately apparent. All eased into the brain after a couple of minutes of sound testing. Such was the relaxed manner of the RWAK120/S itself. It performed as if it had nothing to prove and never imposed itself upon the ear. On the contrary, it asked the ear to come to it. Kidd’s sparse backing accompaniment allowed the Red Wine to focus on individual instruments that proved useful for the review. The acoustic guitar, for example, was better balanced within the ensemble, during the Kidd vocal. Yes, it provided a successful rhythm backing but the intricacy of the guitar picking was more apparent on the Red Wine machine, which now sounded far busier. Specifically, it was easier to discern the fingers moving along the strings of the guitar. When manoeuvred forward towards a solo, it successfully blended both the power of the plucked string with the precision of the same and the delicacy of the tonal decay. The piano was symbolic of the entire performance, in fact, because it showed how much distortion the Red Wine modification was removing. The amount of extra air and space afforded to the Red Wine-induced piano was palpable, allowing the piano to be at ease in its presentation and to provide a flow to the performance that was previously rather stilted. Percussion was similarly freed from the distortive constriction. Treble-infused cymbals were allowed to decay over a far longer period, for example. Moving to Dire Straits’ Brothers In Arms from the album of the same name via a 24bit/88.2kHz FLAC (Warners). If anything, the differences between the standard and Red Wine AK120s were starker. The latter allowing the music to soar readily and with less constriction. Right from the off, the Hammond organ, which is a signature portion of the introduction was, if anything, more aggressive in its make-up, specifically during the actual key presses which appeared to crunch into place with a new deliberation. As soon as Mark Knopfler’s vocal began, the sense of clarity was tangible. For the first time, I could discern what he was singing about. With the standard AK120, I was convinced that the lyric ran, ‘These mist covered mountains/Are a home now for me/But my home is the lonely’. It was only after playing the Red Wine mod when I realised that the latter, in fact, ran, ‘But my home is the lowlands’. Knopfler’s iconic Les Paul Gibson lead guitar appears in the song almost as a co-vocal, providing texture and emotion. Via the RWAK120-S, the guitar sounded much cleaner and smoother in its presentation that drew the ear to the enhanced reverb and decay. The removal of distortive elements also illuminated the layered effect of the arrangement which meant that the guitar was often matched with both the Hammond and two synth lines and that blended successfully while retaining their individual personalities at all times. Assuming a similar position, the bass was clean, punchy and crisp without any smudging or bloom. In fact, percussive bass formed an effective punctuation to the song. Taking a classical turn and the 24bit/192kHz of Mozart’s Sonata in D major, K.576 Adagio by Gottleib Wallisch. This piece for solo piano provides a major test for any piece of hi-fi equipment. It’s combination of complex notational interplay, use of silence and innate multiplicity of sonic elements is a minefield of potential problems. One of the more interesting, if less obvious, aspects of this track is an early sequence of, to be less than subtle, forceful key bashing which creates definite wooden thuds as the keys are repeatedly, well, hammered, on to the piano frame. This sequence is well recorded on the basic AK120 but, on the Red Wine mod, the thud actually takes on a slight tonal quality of its own as the tone is reflected into the ‘dead’ wood under the key actually changing in pitch as the keys are hit. In general terms, the lack of harmful distortive effects allows the Red Wine piano far more space and elbow room, giving a sweep and delicacy to the entire arrangement while the reverb, which can be slightly ham-fisted on the original AK120, is stylishly elongated with delicate filigree-like additions to the periphery of the reverb. In short, more detail is allowed to hit the ear because of the lowering of the distortion. Finally, the DSD version of The Pixies’ ‘Where Is My Mind’ was played while attaching the AK120 to my reference hi-fi. In this way, I could provide a true, A-B comparison with the original model as no third party headphone amp would be ‘in the way’. The Pixies are an interesting case for any reviewer. Talking to Mobile Fidelity, during that company’s reissue contract with the band during which the label issued the group’s back catalogue via an exquisite array of 180gm vinyl issues, the label informed me that The Pixies wanted to retain the digital ‘feel’ of their work. The original albums were not recorded onto analogue tape but mastered with and recorded on early digital equipment. The vinyl, said the band, should reflect that. One slip from the comparatively limited master can – and has, with other releases – produced a compress mess. Similarly, the DSD had to follow a similar presentation style. Getting the best from such a DSD is, therefore, a challenge for any mobile player. It has to be on top form. Listening to the newly modded Red Wine AK120, in all its glory, via my reference hi-fi was, it has to be said, an immediate a revelation. The entire track sounded as though it had lost levels of compression and peak limiting, such was the open and airy nature of the Pixies in full flow. Firstly, the soundstage increased in height with a fullness that gave the necessary bulk to the Frank Black vocal. His delivery was now more nuanced and subtle in tone, providing greater potential and, above all, threat. The lead guitar was not the racket heard on the original AK120. Now, you could discern a greater degree of technique and added complexity while the percussion reached out towards the ear, providing both focus and intricacy. Before, the drums provided an unfocussed slam, now the Red Wine modification displayed a conglomeration of actions and reactions the gave the percussion section of the song new interest, broadening the entire track and enhancing its power. The beautifully textured acoustic guitar strum that flavours the entire track was always an impressive textural show via the AK120. Now, via the Red Wine mod, the acoustic became more a group of guitar strings flying in close formation. An acoustic harmony of individual filaments that enriched the song while the treble-rich cymbals, even via this master, actually sounded like cymbals: praise indeed. Modifications, such as this AK120 example, are an essential part of the hi-fi firmament, fulfilling needs and requirements of hi-fi enthusiasts that commercial companies often cannot and sometimes will not produce. Red Wine Audio therefore fills a very real gap in the market. As such, the RWAK120/S is a triumph of engineering and application. A practical result of true passion, anyone who owns or is thinking of buying an original AK-120 would be a fool to not seriously consider upgrading to what is, undoubtedly, the pinnacle of AK-120 performance. From its earliest days in design and manufacturing, Red Wine Audio has made great strides while retaining an underlying power theme. 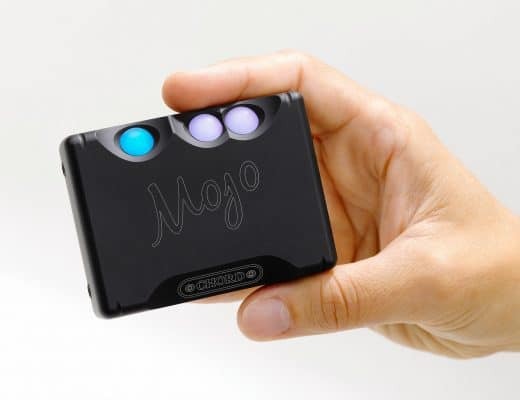 That’s because Red Wine Audio focus primarily on battery power, “Since we started in 2005 we’ve been mainly focused on battery-powered playback,” said Rossi. “For our own products, we run them off the grid at high current with Lithium-ion phosphate battery packs which avoids having to use any AC/DC conversion because battery power is natively DC. 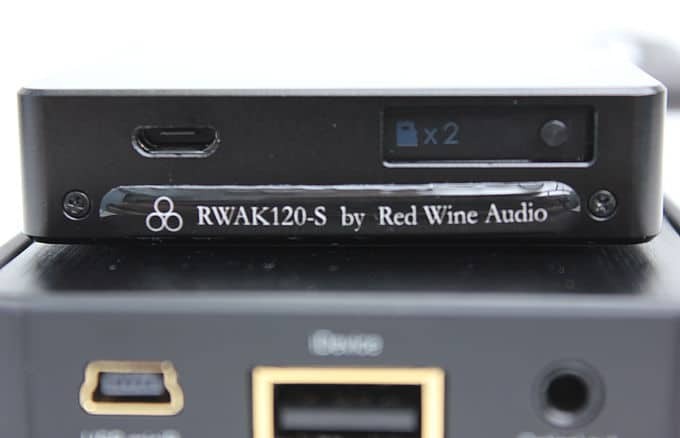 Also available from Red Wine Audio is the RWAK120/B. 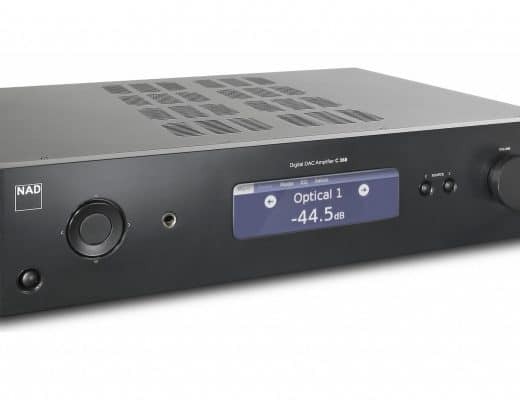 Essentially the same as the ‘S’ upgrade, the jack on the side of the AK-120 chassis is a true balanced output because the Wolfson 8741 DAC chip outputs a true balanced output, natively. From there, you either convert it to single-ended output or leave it and run in its natural, balanced form. 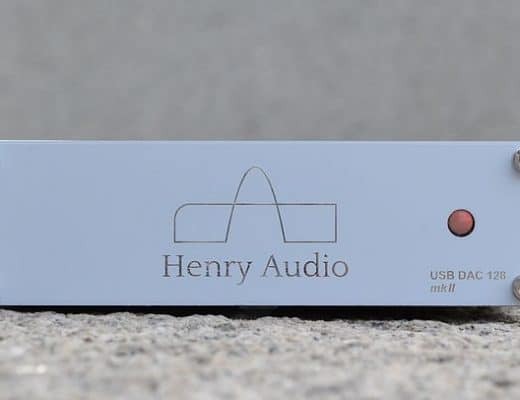 For the B mod – The headphone jack becomes a single-ended line out as you have now but on the side we put a 4-conductor balanced out for a balanced headphone amp such as the Ray Samuels SR-71B or ALO RX3B then you can do a straight balanced feed.